From OceanicTime Yes, we finally have a lucky winner! Congratulations, Kevin King Uy of Vancouver, British Columbia, who has won himself Tourby Watches' debut diver, the new Lawless DIVER PVD. 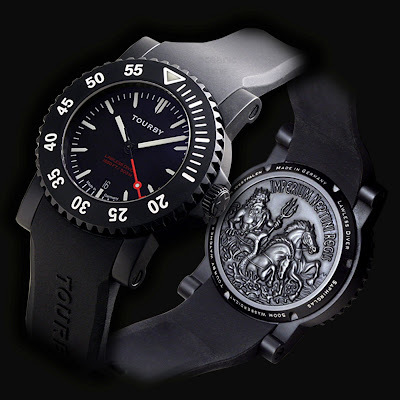 Many thanks to Tourby Watches for giving away such a fantastic dive watch! We look forward to some feedback from Kevin when it arrives. To the rest of you - please stay tuned for the next Giveaway coming in the not too distant future . . .